If you asked me to describe my oldest in just a word or phrase, I struggle. She’s an incredible young lady. Kind, empathetic, creatively smart, and wise beyond her years of youth. When I say creatively smart… she does well with academics and responds to tasks with out of the box ideas. But that isn’t the true creativity in her. Her creative being shines through her artistry and music. This spring there have been several celebrations of Embug’s gifts. 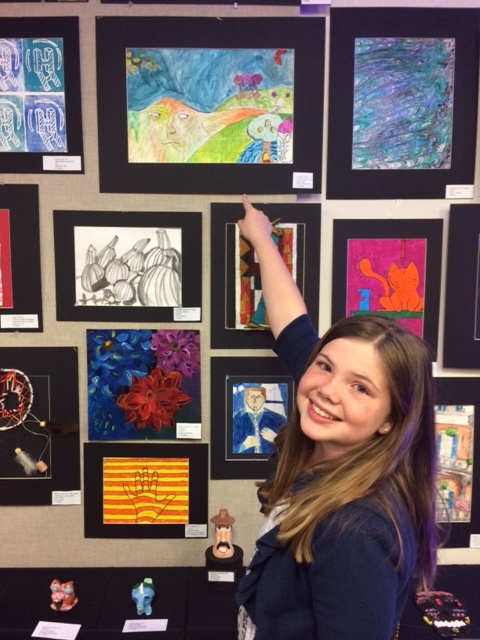 The celebration of her art was when she was showcased at the Northwest ISD Art Show. Her Art teacher at Haslet Elementary, Mrs. Chelsea Rhoades, has been grooming Embug’s gifts since Kindergarten. 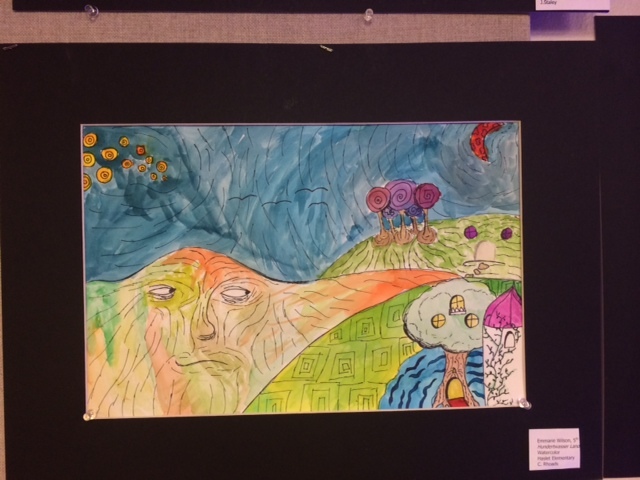 While Mrs. Rhoades’ impact on Embug is far beyond her artistic growth, her direct impact on the development of her skills is evident. You can see the influence of Georgia O’Keefe in the detail of her still life flowers and the spirit and essence of the process from artists like Vincent VanGogh. However, if you ask Embug she will tell you that there isn’t really one artist that truly influences her, except for Mrs. Rhoades. The same choir was invited to sing the “National Anthem” at the opening of a Northwest High School varsity baseball game. Beyond her school choir, Embug has grown her talent through Cantare’ Children’s Performance Choir. This spring Embug has sung as one voice with this phenomenal choir, while also being showcased through ensembles and solo opportunities. Her confidence, stage presence, musical intelligence and gifted voice have flourished. 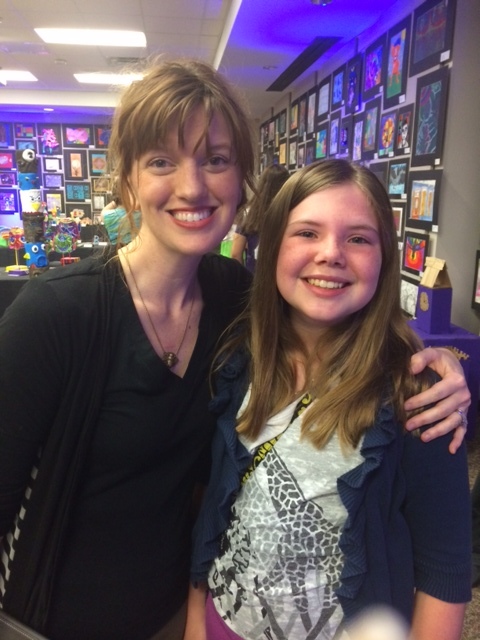 Events have included the choir’s performance at the Denton Art and Jazz Festival. 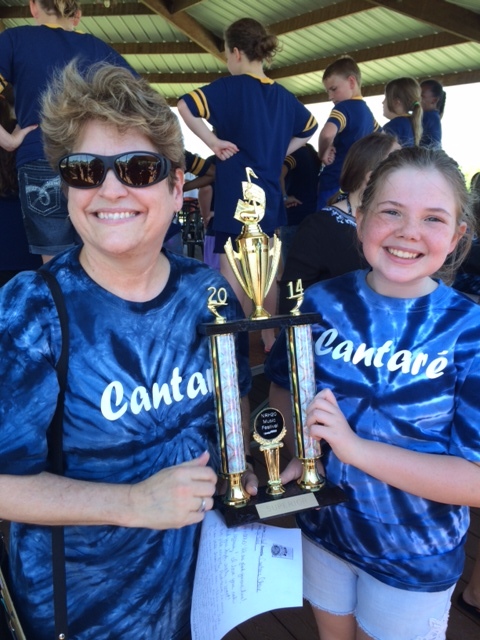 Mrs. Peggy the choir’s director has actively sought out competitive venues for Cantare’. 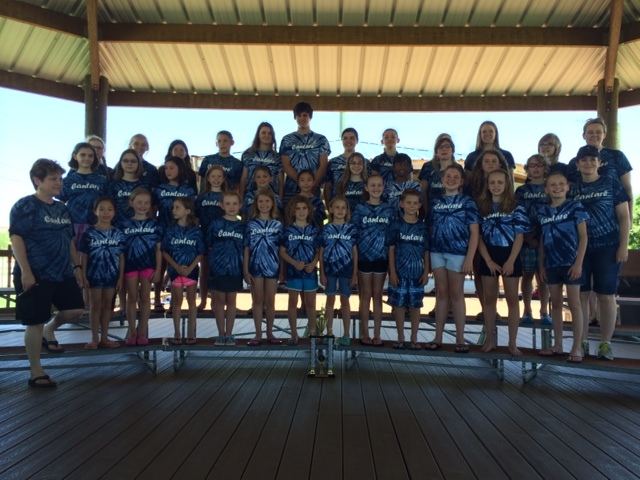 That resulted in Embug and her fellow choristers performing at a recent Music Festival hosted at a nearby community water park, NRH2O. The choir received Superior ratings in all areas. To top the spring season off, the Cantare’ choir did an incredible Spring Concert Showcase. It was amazing to see the pride, passion and professionalism that the gifted singers shared in their hour and fifteen minute performance. The adults that facilitate the Cantare’ Performance Choir opportunity continually push the envelope. They challenge each individual chorister to constantly improve and refine their gift. In each group and individual performance the precision and excellence presented at the Spring Concert Showcase was absolute perfection. 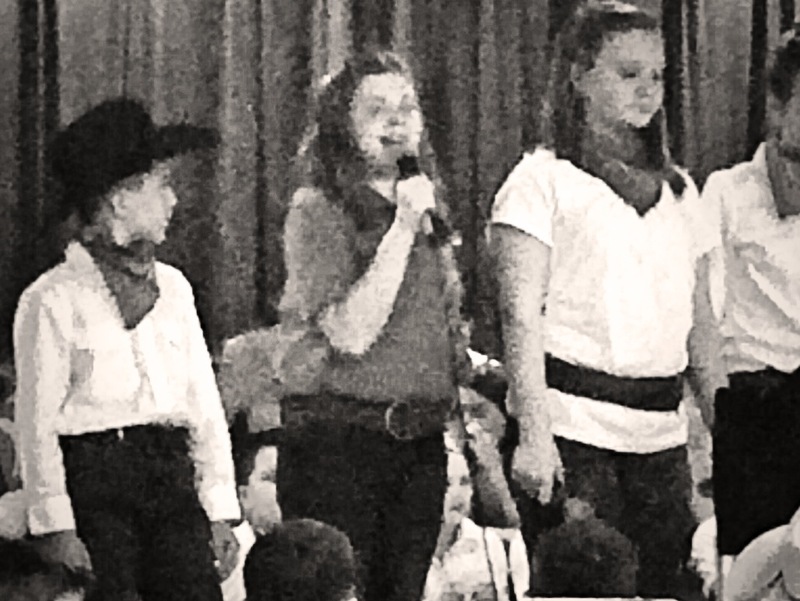 I hope to be able to share portions of the performance soon once a DVD is provided to the parents. 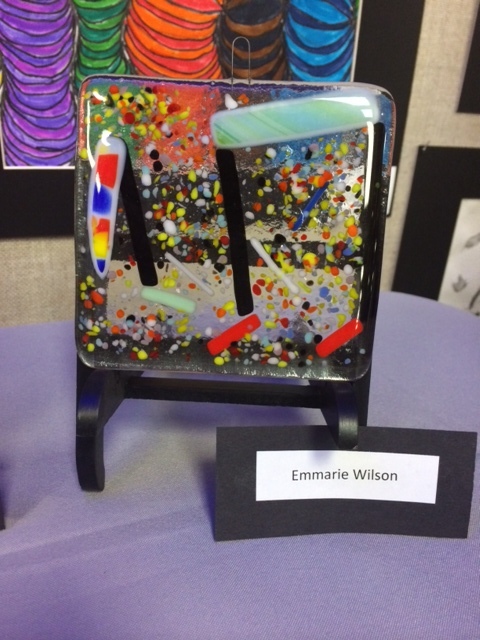 Embug continues to amaze us with her talents, her willingness to work hard to improve and her eagerness to take risks. Soon she will be performing for the Music Guild of North Texas to showcase her talent in piano. The Cantare’ choir is going to be singing a difficult 4 part harmony rendition of “God Bless America” at the Rough Rider’s in Frisco, Texas on June 8th. Embug will also be part of the Northwest ISD Middle School Musical cast for “Little Mermaid.” Finally, Embug will continue to seek ways to practice her gift for artistry as we redesign her area of our upstairs playroom to better suit her needs for a full art studio. And don’t you know… I would have gone to any lengths to provide her opportunities such as these, but her appreciation and gratefulness not only made my heart soar with gratitude, but you can bet this Mom has no qualms about being a taxi to events for as long as she wants me! What a privilege it is to see God’s gifts in your children grow and develop.